A coyote expert at the University of Calgary is urging the city to stop using a hazing method that involves firing chalk from a paintball gun. She says it's not clear that it works and it can cause pain and suffering. 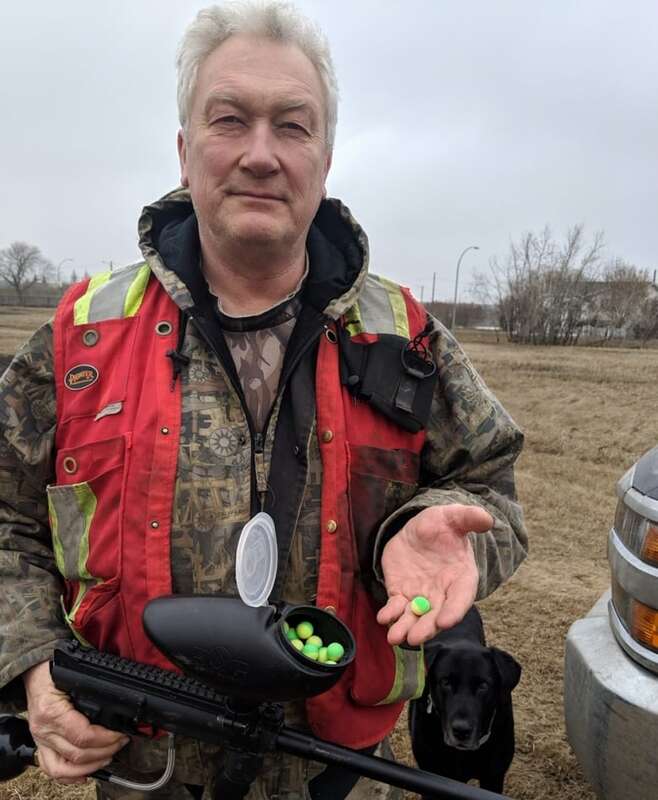 A University of Calgary researcher who has spent years studying coyote behavior says she's concerned by the city's hazing practice, which involves shooting hard balls of chalk at the wild canines. She is urging city officials to consider a more humane and scientifically proven method to train the animals to stay clear of citizens. 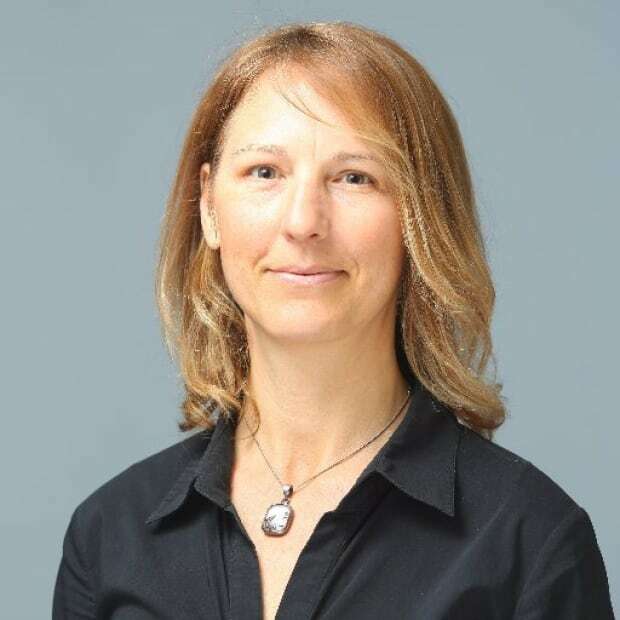 "I would say the use of projectiles is one technique that causes pain and suffering," said University of Calgary geography professor Shelley Alexander. "Also, at this point, I would say it's too early to say it's effective. I would want to know the measures of effectiveness." The City of Calgary started using this method of hazing as part of its overall management of the urban coyote population in March 2018 to address aggressive coyotes. It hired a contractor, Animal Damage Control, to look at 311 and other forms of complaints, identify problem animals and then, when necessary, head to the site with a service dog to find and engage with the coyote. The contractor can then assess the animal's behavior before deciding whether to use a paintball gun to fire chalk pellets, which are designed to burst upon impact. "When they get too comfortable with people, and then they start to exert a dominant aggressive behavior, you know then you've got to push back a little bit," said Bill Abercrombie, president of Animal Damage Control. "Really, our only other option is to kill the animal ... and that's not something we want to do," said Chris Manderson, urban conservation lead for the city. "We don't think it's effective." The City of Leduc recently adopted this method of hazing, too. In Calgary, the clay balls have been fired in Nose Hill Park and around the communities of Strathcona and Panorama. But the city says it doesn't track every incident, so there could be other areas, too. Manderson says the use of chalk balls seems to be working in the city limits. He says the city has seen a more than 30 per cent drop in 311 calls for aggressive coyote behavior, such as stalking. "There is really good evidence that that sort of approach works in cities," Manderson said, citing Chicago, San Francisco and Austin, Texas. "It is something that is an established practice." Manderson says the drop in calls could also be a result of more people recognizing what is actual aggression, and what is normal behavior for a coyote. But Alexander says the city should do more than rely on calls to 311 for proof of effectiveness. 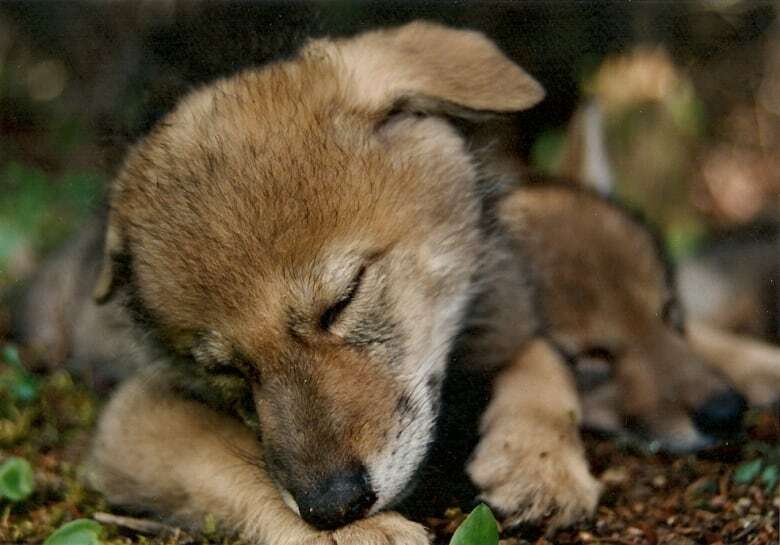 She says it should document outcomes more thoroughly, whether there was a successful change in coyote behaviour, and then modify the technique accordingly. 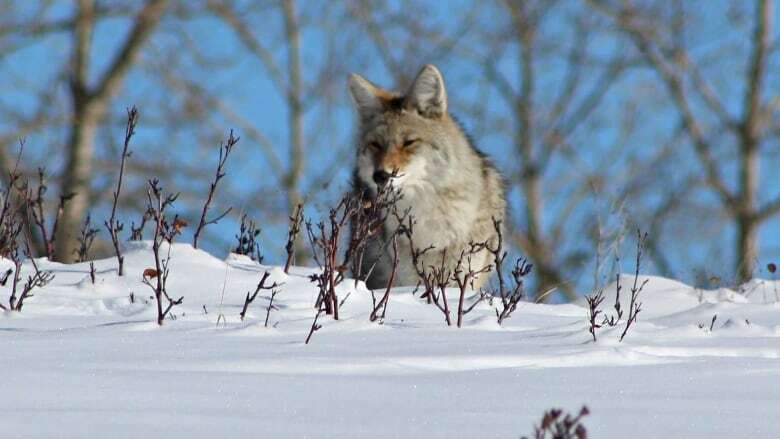 The director of the wildlife advocacy organization Coyote Watch Canada visited Nose HIll Park two years ago to talk with city officials about urban coyote management. She was shocked to hear that the city started using this type of hazing. "That activity is violent, ineffective and should not be used," said Lesley Sampson, who co-founded Coyote Watch Canada. And Sampson questions how firing a projectile from a far distance will reshape coyote behavior other than harassing them to the point where they get dispersed from their home range. Sampson also says using a service dog to entice the coyote is wrong. "How do we know we are not actually creating a situation where those coyotes become uber-sensitive towards other dogs? So then maybe you are going in there with your dog on a leash, the coyote sees that dog, and all they are going to think of is I've got to defend my family.... This is unacceptable." In defence of the method, the contractor says they only push the coyotes to a certain point, and once the animals respond, they stop. "Most people we talk to in those parks are very, very happy to see us there. They appreciate the security and they realize that we are trying to do something that is proactive. We are not hurting the coyotes. We're just trying to modify the behavior so we can co-exist together," said Abercrombie. Sampson says there are other proven methods that don't hurt the coyote. Alternative hazing techniques include making yourself big and making noise when approached by a coyote, shaking car keys, popping open an umbrella, throwing sticks or dirt, or blowing a whistle. Sampson says these techniques work because the coyote learns to associate these scare tactics with humans and keep away. "Given that there are proven alternatives that are less likely to create constant stress for animals, those would be the ones we'd want to default to," said Alexander. But Manderson says this is the method the city has chosen in consultation with its own experts who work on urban coyote management, even though he knows it's not ideal. "We don't want to do that sort of thing, either. But when we have that sort of a risk, our options are a little more limited in what we can do," said Manderson. Manderson says he'd rather see these types of conflicts headed off by more responsible use of the parks, by keeping dogs on leashes where they are supposed to be, away from coyote territory, by picking up after dogs, and by not feeding animals, whether intentionally or by leaving garbage around. Alexander agrees the underlying issues also need to be addressed, whether it's people feeding coyotes or dogs running off leash; otherwise, coyotes will continue to have conflicts with Calgarians.